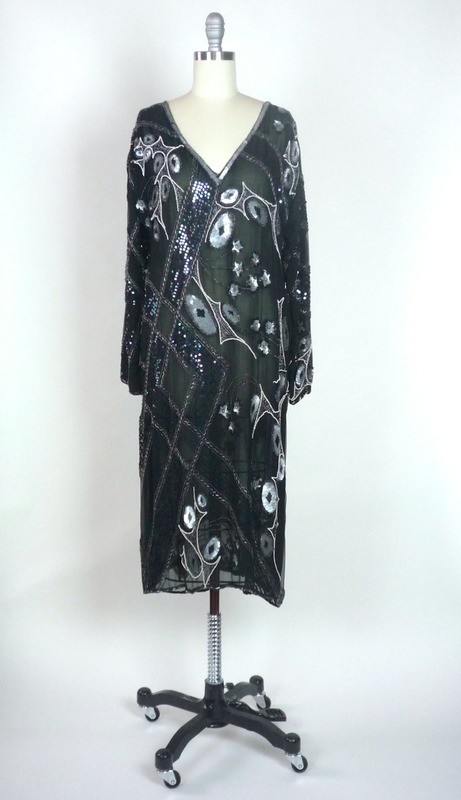 This beautiful mid- 80s dress is made from black, sheer, silk fabric, cut in the playful and flowing, Tunic style. The Tunic is versatile in that you can add a belt, or sash for a loose and slouchy look, or let the dress flow lovely in its natural form. 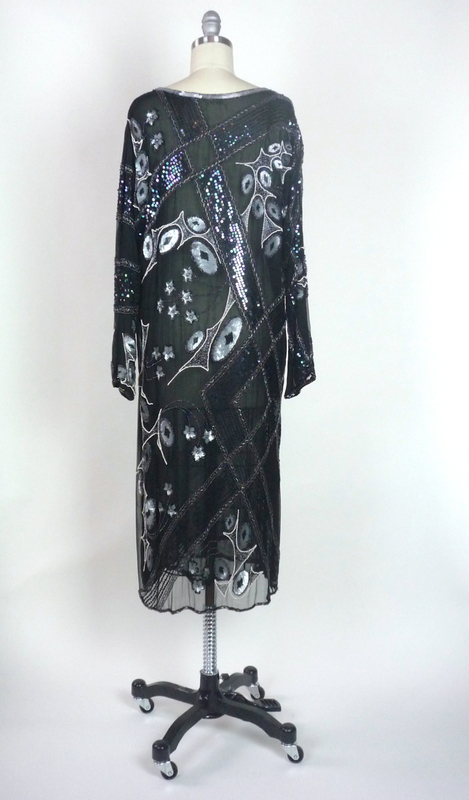 Covered in an abstract and floral pattern of iridescent and silver sequins, outlined with silver bugle beads, and faux pearls. The top has a deep-v, or Plunge neckline, and long, straight sleeves. 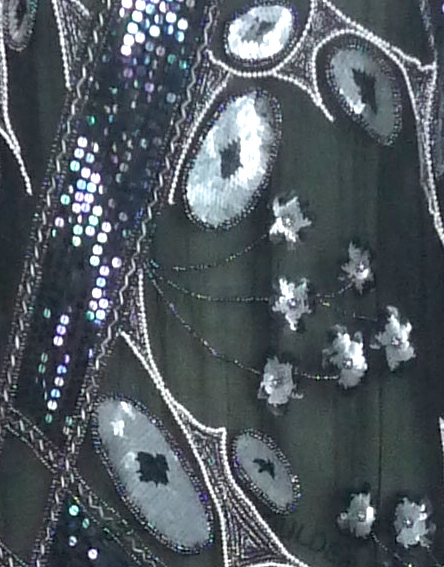 The hem falls at a comfortable Tea length. Add a rhinestone headband, or veiled Fascinator for more drama. Wear this dress with strappy stilettos, or ankle booties, in any colour, or my personal favourite, high-top Chucks, also in any colour!